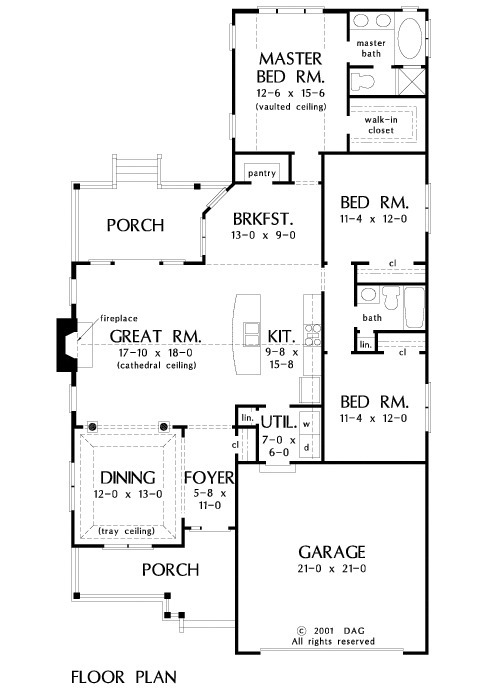 Perfect for narrow and long lots, the floorplan creates a natural traffic flow. Columns and a tray ceiling define the dining room, and a fireplace highlights the great room. A vaulted ceiling flows into the kitchen, which features plenty of workspace. Located in the quiet zone is the master bedroom. 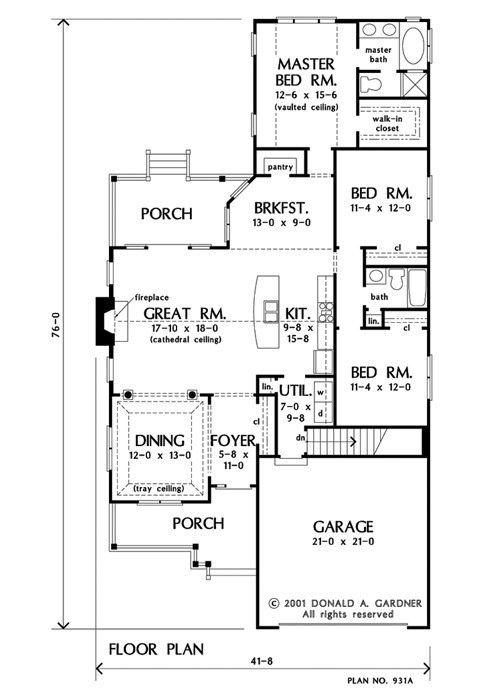 1st Floor: 1726 Sq. Ft.
House Dimensions: 41' 8" x 72' 4"
Master Bedroom: 12' 6" x 15' 6"
Foyer : 5' 8" x 11' 0" x 9' 0"
Great Room (Cathedral): 17' 10" x 18' 0" x 16' 8"
Kitchen (Cathedral): 9' 8" x 15' 8" x 16' 8"
Breakfast Room : 13' 0" x 9' 0" x 9' 0"
Master Bedroom (Vaulted): 12' 6" x 15' 6" x 12' 1"
Porch - Rear : 14' 8" x 9' 0" x 0' 0"